I don’t know about you, but when I see all the stores opening their doors for their “Black Friday” sales on Thanksgiving Day this year–making their workers take time away from their families and friends on a holiday to come in and work so the store can earn more profits–it kinda makes me want to throw up in my mouth a little. Can we not wait ONE day? Just one day before the pushing and shoving and trampling begins? Really, ‘Murica? So, instead of standing in the long lines on Thanksgiving, how about having a handmade Christmas instead? DIY Christmas gifts are much better than store-bought. Plus they will save your sanity. Allow me to set the scene: You get to gather your supplies at a leisurely pace without any worry of having your heels rammed by a shopping cart. You can turn on some Christmas music and make hot chocolate. Or maybe even watch ABC Family’s 25 Days of Christmas movies on replay on your DVR… it’s up to you. It’s freezing and rainy outside, but your house will be warm and cozy as you sit at your table making your own Christmas gifts like the Ingalls family. I mean really… what could be better than that? Have I talked you into it yet? If so, check out these pretty little package-ables that you can make with your own two hands. Those should keep you busy for a while, right? If you are not the DIY type, but still decide to boycott the evil big boxes this year, just keep in mind that Small Business Saturday and Cyber Monday are your BFF’s. 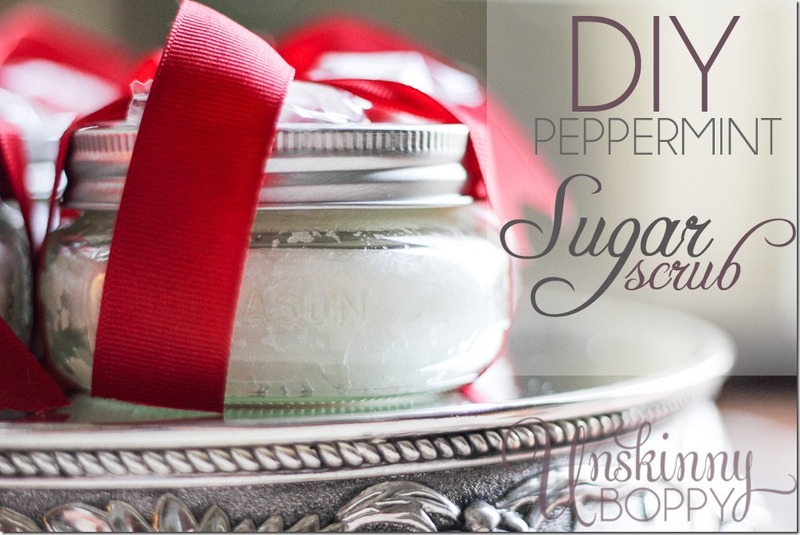 If you enjoyed this post, be sure to check out my DIY Sugar Scrub recipe for a quick gift idea. Perfect for teacher’s gifts! 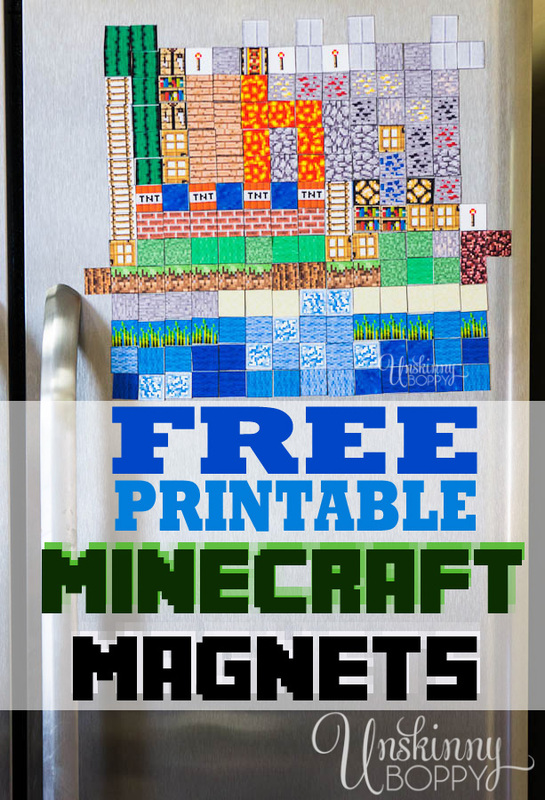 If you have a Minecraft lover in your life, be sure to check out my Free printable Minecraft magnets as a great stocking stuffer! 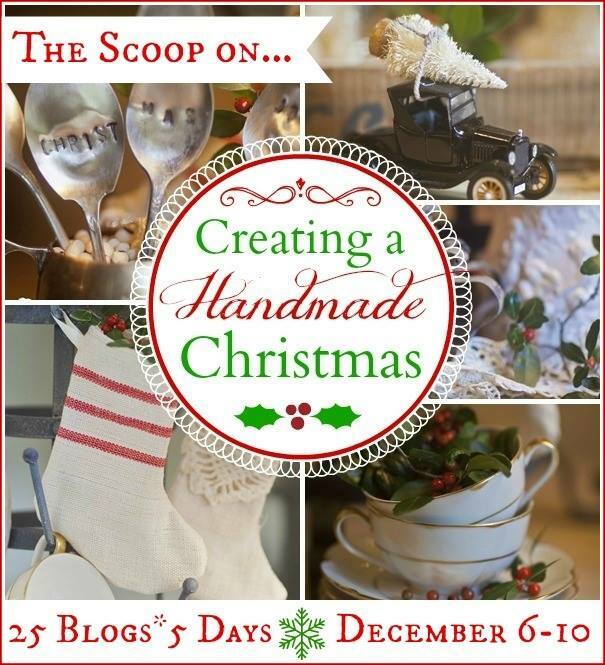 And, be sure to check back on December 10th when I’ll be sharing the scoop on Creating a Handmade Christmas. I’m SO excited about this post! 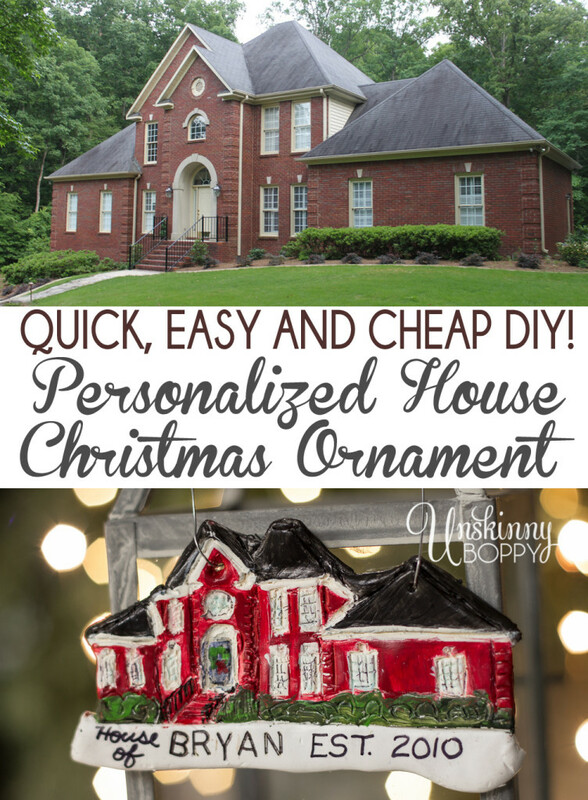 I’ll be showing you how to DIY these personalized Christmas ornaments to look just like your home! These will make such a great gift for someone, or make one for yourself. I cannot wait to show this to you, so mark your calenders to check back on December 10th to read the full tutorial. I’m sorry to make you wait, but I’m on the schedule with a bunch of other bloggers for the 10th, so we gotta wait. See you then! Thanks so much Beth for featuring my vintage French Tea Towel! 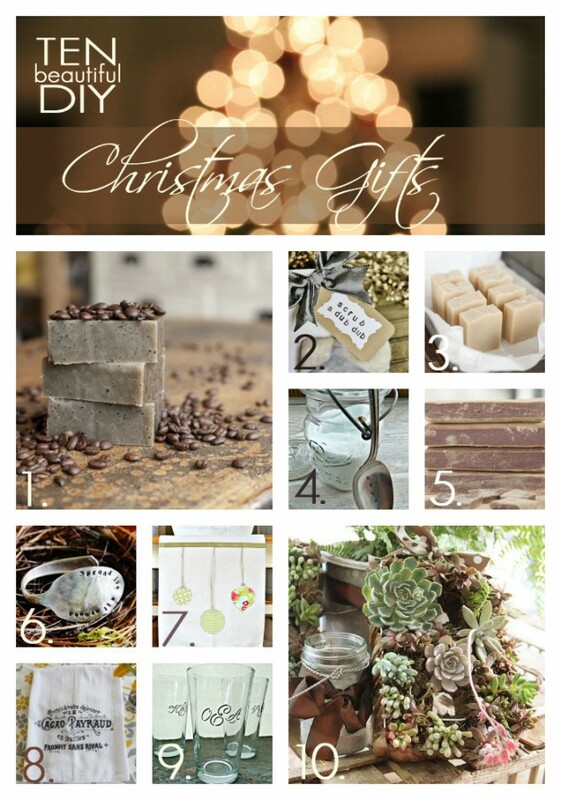 I love all of your diy gift ideas here – lots of inspiration! You’re so very welcome my friend! I need your peppermint sugar scrub to wake me up at the crack of dawn – when I know my girls will be jumping on my bed to get me on on Christmas morning! Hehe! I like this plan! I think it’s a travesty that the stores are opening on Thanksgiving!!! I am totally boycotting it! Come on, you know you wanna! Awesome gift ideas, pinning for sure! Amen, sister! EVERYONE should be able to be with their families giving thankx!!! I soooooo agree with you on this!!! I grew up in New England and there were Blue Laws, which forbide stores being open on Sundays. Those laws were done away with and slowly, stores were open more and more hours. I think EVERYONE has to stop and plan a bit better…does every store need to be open so many hours? This is all about making money. Perhaps, if enough people said, “No” then maybe the idea of days of rest for employees would make sense. I have become less and less suckered into this culture of consumption. I buy WONDERFUL things from resale shops. I let someone else spend their money and I get bargains. Crazy. 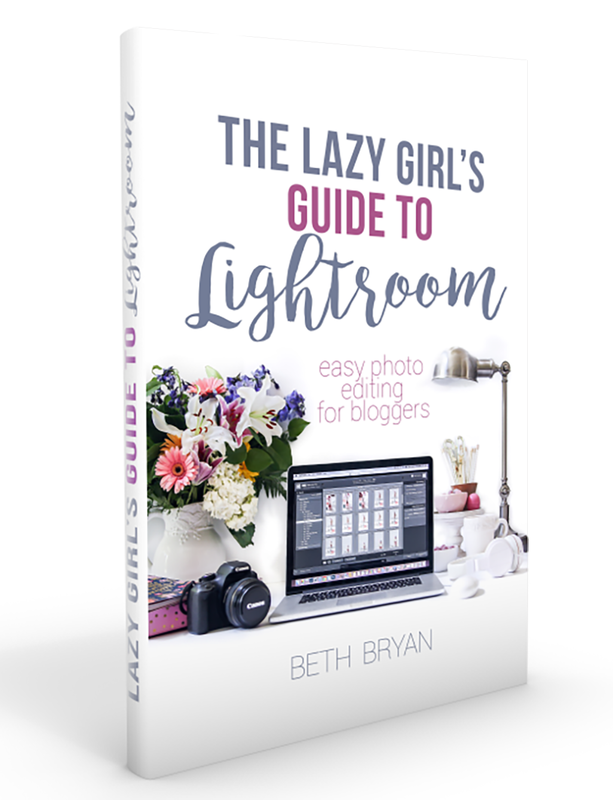 Oh, this round-up is gorgeous, Beth! I feel crafty just looking at everything! Pinning! Great gift ideas! LOVE that succulent wreath! In an internet forum about plastic surgery, it will be possible to come in contact with other individuals about plastic surgery through the net. aesthetic results with the help of innovative body contouring procedures. that chlorine causes discolouration and a change in hair texture. Never wash your hair with very hot or very cold water. a lot of problems for your hair. Their ringer t-shirt will be the type connected women’s clothing used mostly as their sports uniform. Another thing to think about are the flowers the bridesmaids will wear. It could possibly be employed generally because of development kind as well as excellent best quality. In most homes, a classily designed LCD TV has become an urgent part in every entertainment room. and views overlooking Los Angeles. For this reason many people make an effort to be brokers of freight companies. suit you best. There are a number of parameters which make it to the ideal cleaning system. most individuals seek for such shifting helps. the education facility to the HP2-Z08 Test. The Street Fiction ebooks available at this store are one of the best in their genre. You can find companies offering packing services and this means that you have less to worry about when moving. 1 use to clean a small mess like this. The 24 buttons can be customized to meet the needs of different users. Ideally, modern design prefers L-shaped workstations to save space while encouraging interaction among office employees. (tank), modular or even for standard dry cargo. There’s substantially a bunch to learn about this. I suppose you made certain nice items in functions also.